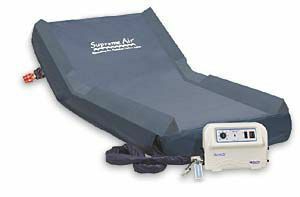 The Supreme Air™ Alternating Pressure Mattress with Low Air Loss combines the most advanced technology and clinically effective features in a portable system. 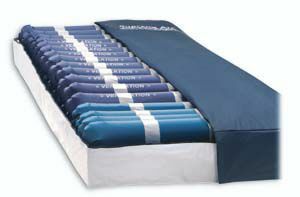 The mattress utilizes 16 independent 8″ deep air cells to provide pressure redistribution for the prevention and treatment of Stages I-IV pressure ulcers. 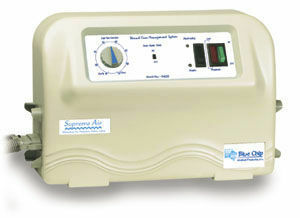 User friendly controls and ease of setup make Supreme Air™ ideal for institutional use and the home bound patient. Cover is loose fitting and will conform to the patient. The mattress was designed to fit all standard hospital beds. 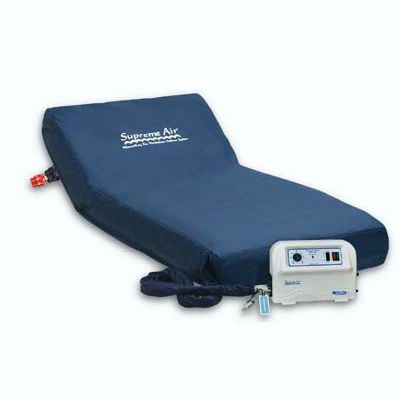 Supreme Air™ alternating pressure mattress supports patients weighing up to 350 lbs. 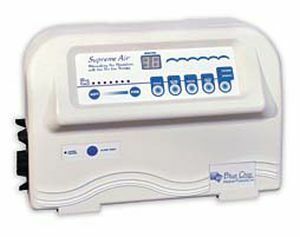 Supreme Air™ meets California Technical Bulletin #117 for fire retardancy. An optional fire barrier is available to meet the most stringent fire safety requirements when requested.